Citing the great interest the community has shown in the topic, Supervisor Cathy Hudgins’ office has announced additional arrangements for Monday’s meeting on a Fairfax County proposal to increase Reston’s density cap. The meeting, scheduled for Monday at 7 p.m. in the cafeteria at South Lakes High School (11400 South Lakes Drive), will be streamed live on Fairfax County’s Channel 16. In addition to being available online, that channel can be found on Comcast, Verizon Fios and Cox cable services on channel 16, as well as through digital television (with QAM tuner) on channel 34-16. To accommodate for parking difficulties at the school, the county will also be offering a pair of shuttle buses from the parking lot at the Human Services building (1850 Cameron Glen Drive) to the school. The first will leave and 6 p.m. and the last will go at 6:30. Seating will be on a first-come, first-serve basis, and each trip can take 39 riders. See the full announcement from Hudgins’ office here. 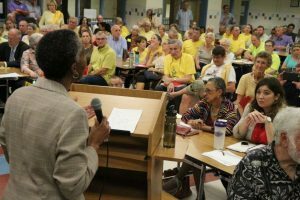 Next week’s meeting was scheduled after a planned meeting last month at Lake Anne Elementary School was called off when a large number of people — estimated at more than 400 — showed up to oppose the plan, which county officials said breached the fire code. The proposal from the county would bump the overall limit on people per acre in Reston’s Planned Residential Community (PRC) District from 13 to 16. (The density is currently about 11.9 people per acre.) 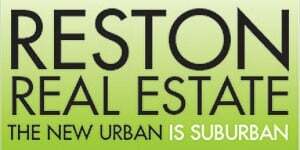 The PRC District does not include any of the fast-growing Transit Station Area property surrounding the Wiehle-Reston East and Herndon Metro stations, nor does it include most of the property in the Reston Town Center Metro station TSA south of the Dulles Toll Road. The county’s Department of Planning and Zoning says the change to the density cap is necessary to make way for growth that is expected after Reston’s Master Plan was updated by Fairfax County in 2014 and 2015 to guide redevelopment in Transit Station Areas, Town Center and village centers. More information about the proposal is available at Fairfax County’s website.